At the top of Redbox kiosks was the Adam Sandler/Jennifer Aniston movie 'Just Go With It.' Blockbuster's top title was 'Bridesmaids.' The differences get even more glaring from there. Blockbuster and Redbox released their top rental lists for 2011 and we noticed one very glaring disparity between the two services. Blockbuster Express customers rented generally good films while the folks that picked up movies from Redbox rented the worst of the worst. We decided to go ahead and math this out using Rotten Tomatoes as an indicator for movie quality. Blockbuster revealed a Top 10 list while Redbox posted the top five in each category. We went ahead and used the top two in each category for Redbox, which seems like a pretty fair way to go about it. 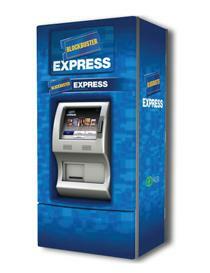 The average rating for Blockbuster Express rentals according to Rotten Tomatoes is an impressive 78.2 percent. 'The King's Speech' sits at the top of the pile with 95 percent while 'Transformers: Dark of the Moon' takes the bottom slot with 35 percent. The latter title is the only one to drop under 75 percent for Blockbuster Express. By comparison, Redbox averages 50.7 percent. The high for the Redbox titles we used in our calculations was 'Rango,' with a score of 88. It's one of only three titles on the list to score above 75 percent. The lowest rated title is also the number one title rented from Redbox kiosks - the disastrous romantic comedy 'Just Go With It,' starring Jennifer Aniston and Adam Sandler. 'Just Go With It' scored just 19 percent on Rotten Tomatoes. What this says about the folks that rent from Redbox as opposed to Blockbuster Express customers is up for you to decide.